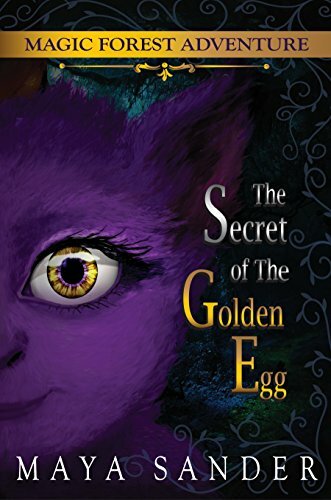 This kindle book is marketed for children age three to eight, but is probably more appropriate for children at the upper end of that range. The book makes a good independent early reader. Younger children will not be able to appreciate the full impact of the moral lessons, though they will enjoy the colorful illustrations. Fauzi does a good job of enhancing the story line, but at the same time not making the images too frightening for the younger child. The story is a good selection for families with siblings across this age span. Rocky is a beautiful neon blue angelfish who tends to be mischievous. His best friend, Gaga, a bright orange angelfish loves to play hide and seek with him in the coral reefs of the Pacific Ocean. They are both afraid of the Moray eels who often bullied them. 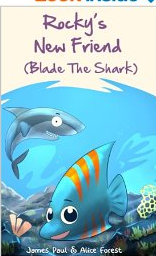 One day while swimming alone, Rocky decides to swim out into the deeper, dark waters and encounters a shark named Blade. This shark wants to play; Rocky decides it is very cool to hang around with a shark. He begins to ignore Gaga as well as his parents’ warnings that appearances can be deceiving! On another day while Rocky and Blade are swimming together, they encounter a surprise. Will Blade turn out to be a true friend? What will happen to Rocky’s friendship with Gaga? Sometimes the truth is difficult to swallow. Read this book of less than thirty pages to find out.